Back in the day HLGR partners Sharon Rudnick and Jeff Matthews brought in some serious billable hours from UO as they tried to learn labor law on the fly, bargaining against the faculty union and the GTFF. They got schooled. PORTLAND, Ore. (AP) — A state agency has dropped its lawsuit against a weekly Oregon newspaper that sought public records about a man charged in the kidnapping and killing of his ex-wife. … After Oregon Attorney General Ellen Rosenblum ordered the review board to release the records, the board responded by suing the newspaper. 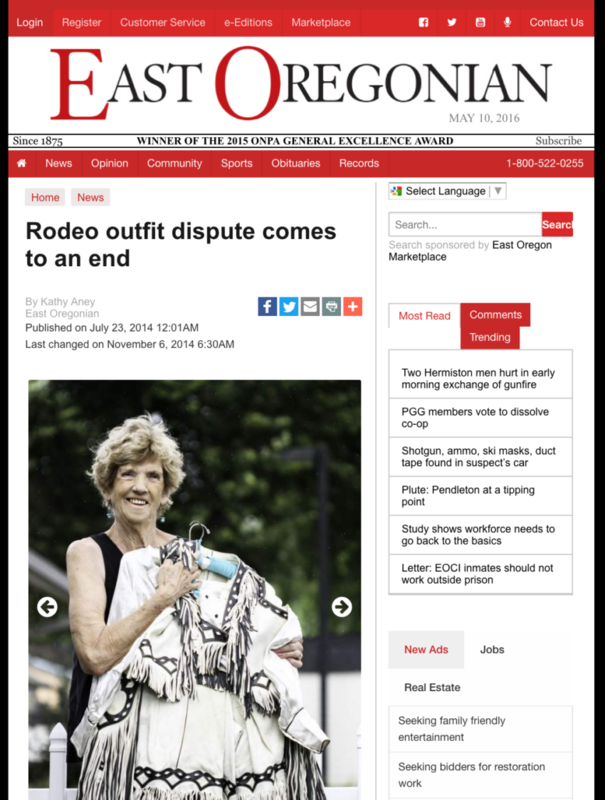 The suit was dropped Tuesday after Gov. Kate Brown intervened. Presumably someone will soon file a request for the public records showing HLGR’s billable hours – rumor has it the rate was $400 per – for this abortive lawsuit against the Malheur Enterprise for having the temerity to get an order from the Oregon DOJ for the release of public records. This should be amusing. 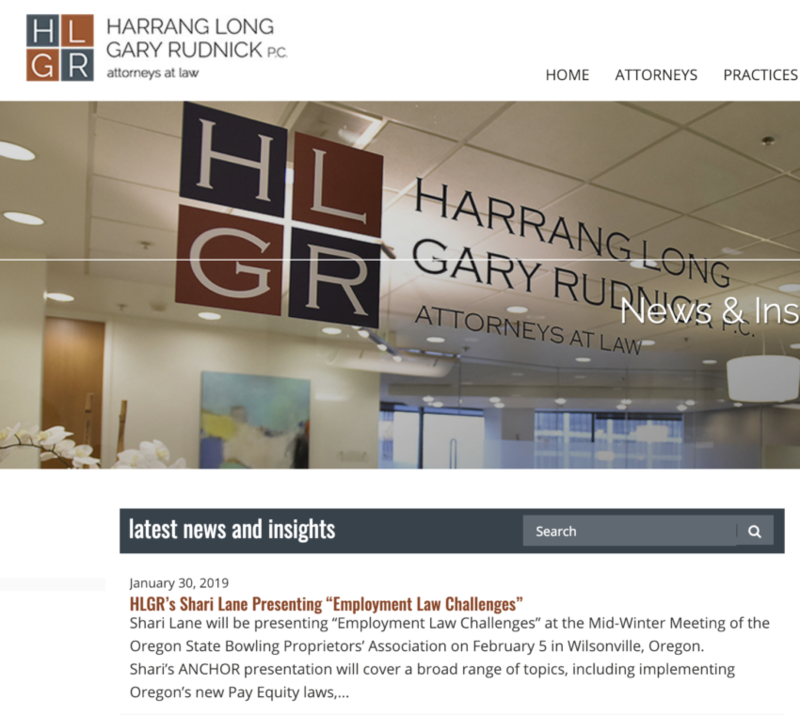 Oregon’s PSRB – a state agency – is using public funds to pay the Harrang, Long, Gary & Rudnick law firm to sue the Malheur Enterprise, a newspaper. 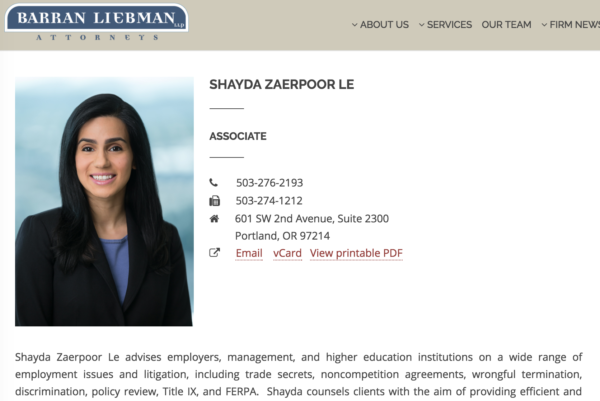 This is the same Eugene law firm that, in the midst of defending Eugene’s 4-J School Board from a public records lawsuit brought by the Register Guard newspaper, mistakenly emailed the RG reporter a zip file with all the documents the school board had been trying to hide from the public. Whoops. I have to wonder if the PSRB – which doesn’t have a lot of money in their budget to pay lawyers to sue newspapers – did their due diligence on this hiring decision. The state Psychiatric Security Review Board is defying a state order that it release public records to the Malheur Enterprise and intends to sue the weekly newspaper to keep the records secret. Such a suit would be only the third time in the past 30 years a state agency has gone to court to keep its records secret. The state board wants to keep confidential certain records it used in deciding last December to discharge from state custody Anthony W. Montwheeler, 49. Three weeks after that decision, police say Montwheeler kidnapped and killed his ex-wife and then killed a Vale man and injured his wife in a collision as he was eluding police. … Rosenblum’s office subsequently said that the newspaper was entitled to the documents it requested. 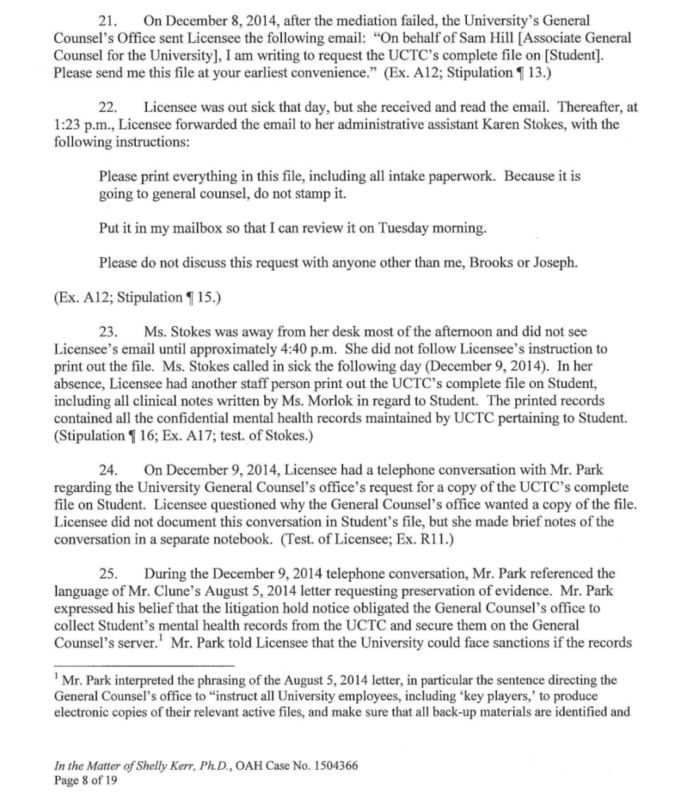 The public records order issued March 15 and supplemented a week later said there would be some redactions. … Rather than comply, the Security Review Board retained at public expense the private law firm of Harrang Long, which on March 22 notified the Enterprise to expect to be sued to block access to the state’s records. The Security Review Board last week couldn’t produce a contract or any other record showing the cost of hiring the outside lawyers. Perhaps Harrang Long will put partner Andrea Coit on the case for $290 an hour, and she’ll uncover another Masonic blood oath conspiracy? Although $290 is cheap for HLGR’s work east of the Cascades – when former UO Pres Dave Frohnmayer was working for them back in 2011, he billed Deschutes County $550 an hour for this losing case. The Docket is here.Walkup’s website is here. Pavel is represented by Marianne Dugan. Amanda Walkup is one of the many lawyers Doug Park and Scott Coltrane hired to investigate me and the UO archivists over the Presidential Archives release. Walkup seemed pretty efficient and interested in getting at the truth. While she wouldn’t let me record her interview with me – I can only imagine why – she did agree to give me her assistant’s notes. Those notes omit some significant parts of the interview, but I’ve seen worse. Coltrane never would release her report, although UO strategic communicator Tobin Klinger did release noted big-tobacco attorney Sharon Rudnick’s interpretation of it. Or at least that’s how I remember things. If I’ve got it wrong, here’s hoping HLGR’s Bill Gary will accept my apologies instead of threatening to sue me for defamation again. 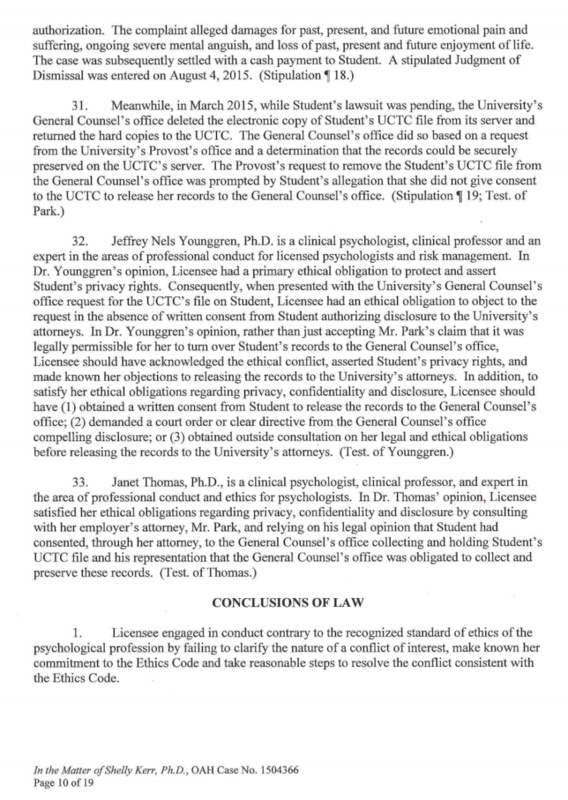 In contrast whistleblowers Karen Stokes and Jennifer Morlok, whose retaliation lawsuit UO just settled for $425K, come off as total professionals. UO President Michael Schill, in his year-in-review in June, said he was pleased with the year’s quick settlements with United Academics and the Service Employees International Union. Schill’s initiatives to build the university’s graduate program, including increasing the number of graduate fellowships awarded, lent an upbeat background to the GTFF negotiations. The endeavor also was helped along when the university used its own employee, labor lawyer Bill Brady, as chief negotiator instead of hiring outside counsel for the job, Marchman said. In addition, graduate school Dean Scott Pratt was on the administration’s bargaining team. Before becoming an administrator in March 2015, Pratt, a philosophy professor, served on the United Academics negotiating team. “That helped keep negotiations respectful and where graduate employees felt like their concerns were taken seriously,” Marchman said. The last time the administration bargained with the GTFF, Interim UO President Scott Coltrane put Jeff Mathews, a zoning law expert from Harrang, Long, Gary and Rudnick in charge. They billed UO hundreds of thousands, and a deal was made only after a disastrous, pointless strike. For the first faculty union contract, Pres Mike Gottfredson put HLGR’s noted big-tobacco attorney Sharon Rudnick in charge – those were also bitter negotiations. So is the solution to labor peace at UO as simple as not hiring outside lawyers who bill by the hour? 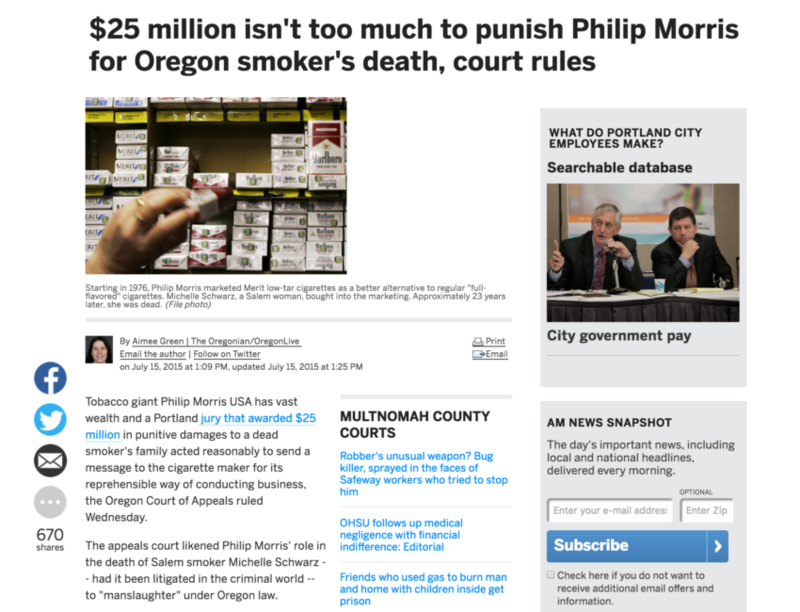 That does sound like more fun than helping Bill Gary and Sharon Rudnick defend Philip Morris from another lawsuit, from the family of another dead cigarette addict. 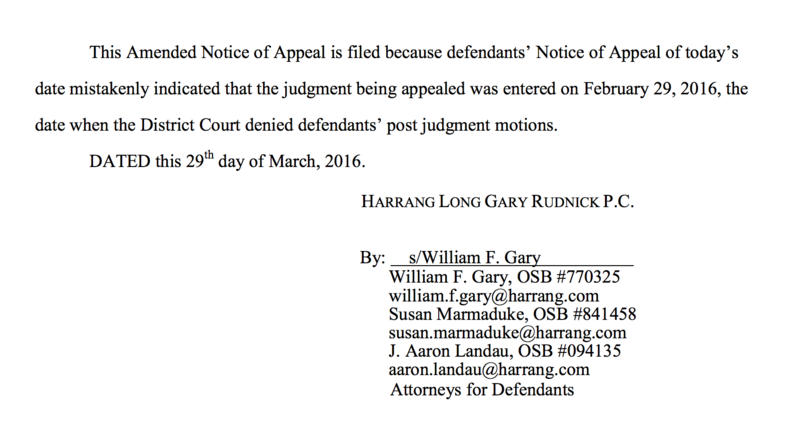 Harrang, Long Gary and Rudnick – once one of the state’s most politically connected law firms, has lost a string of recent court cases ranging from the PERS case to the Bowl of Dicks. In the midst of a public records lawsuit from the Register Guard they even managed to lose the Eugene School Board’s confidential records, by mistakenly emailing them to the RG. Whoops. They’re also losing lawyers – down from 40 in 2006 to 20, I count 15 16 departures since 2012. Pete Shepherd, the last lawyer in their Salem office, is the latest. His new job is Interim Director of the Oregon DEQ, which is in turmoil after public records showed it had ignored releases of toxic metals from glass factories into the Portland air. While Shepherd doesn’t have any environmental experience, he does have a long history of using his former position as Deputy Attorney General to write a slew of opinions that gutted Oregon’s Public Records law and the pro-transparency interpretations that had been made by its author Dave Frohnmayer, when he served as AG. Transparency advocates do not remember Shepherds’ time at DOJ fondly. The state’s attorney general is tasked with interpreting the Oregon Public Records Law, issuing orders to settle records disputes between members of the public and state agencies. Shepherd’s duties included public records, and he was the lawyer who typically signed orders issued by the Myers administration. 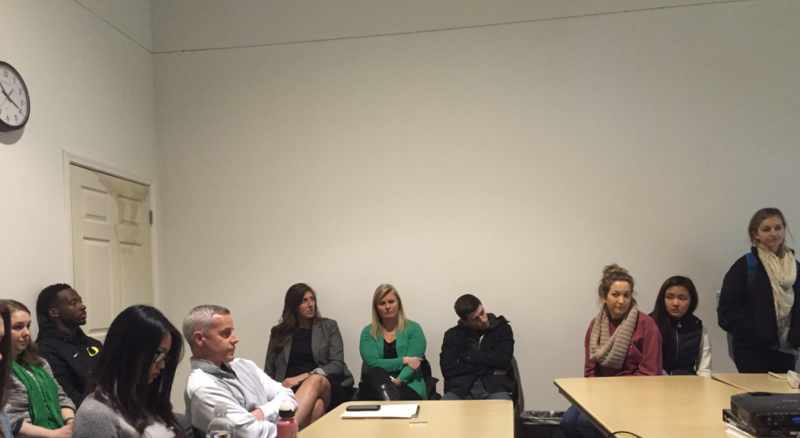 At a talk about government transparency hosted last week by the University of Oregon in Portland, Myers’ record was characterized as a low point for Oregonians trying to understand how their government worked. Investigative reporter and University of Oregon journalism professor Brent Walth described his review of records decisions detailed in the state’s open records manual, which showed Frohnmayer ruled in favor of disclosure most of the time, but Myers ruled for disclosure only 28 percent of the time. Myers’ tenure was “a disaster … (and) wrecked the state’s records law,” Walth said. … Myers had ruled that information about PERS retiree benefits, as well as Nike’s sponsorship contracts with the University of Oregon, could not be released. Both rulings later were overturned, as was a ruling that autopsy records shouldn’t be released. … Bill Harbaugh, a University of Oregon professor and records activist, … says Shepherd viewed his job as preventing the release of information. Since leaving office, Shepherd has worked for Harrang Long, a top law firm. There, he’s been part of at least three lawsuits against newspapers to block the release of public records. 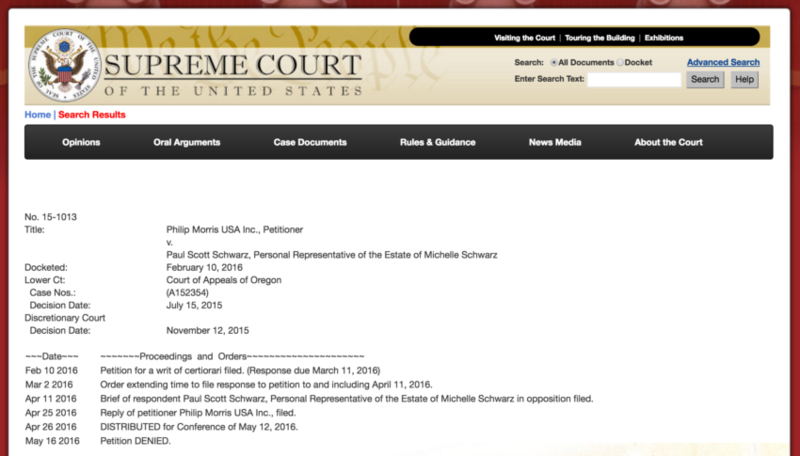 In one of them, he sued The Oregonian on behalf of Oregon Health & Science University to block the release of records about potential litigation that had been ordered released by the Multnomah County District Attorney’s office. Posted 3/30/2016, updated 4/14/2016 with UO’s new $50K payment to Cleavenger’s lawyers. 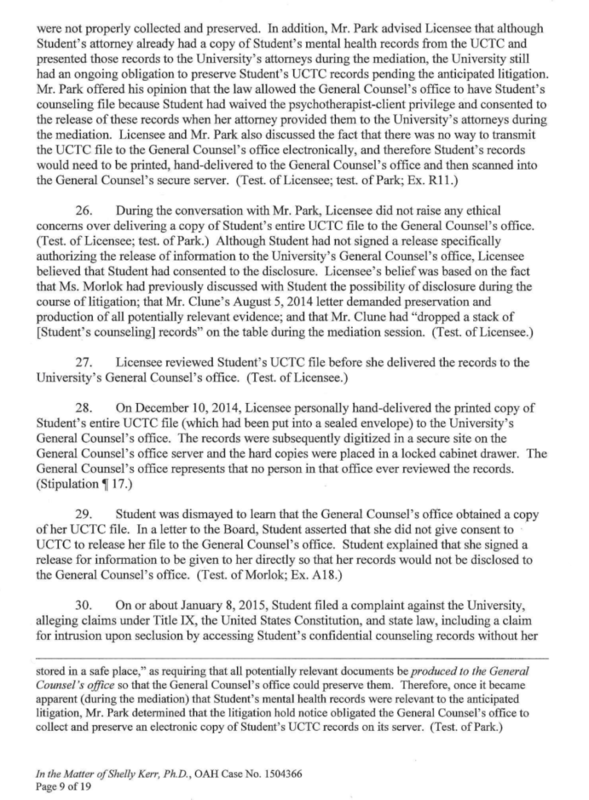 In February 2014 UO’s lawyers from Harrang, Long, Gary and Rudnick lost the arbitration case against former UOPD officer James Cleavenger. UO had to pay Cleavenger $30K in back wages, $6K for arbitration costs, and an unknown amount to HLGR, who typically bill $315 an hour. UOPD Chief McDermed and others at UO claimed Cleavenger was dishonest and should be put on the “Brady List”, preventing him from getting another police job. According to K&M, our current Associate GC Doug Park participated in that decision. Cleavenger hired the Kafoury and McDougal law firm to take his First Amendment claim of retaliation and blacklisting to federal court. UO hired Andrea Coit of HLGR to defend it. In October the jury awarded Cleavenger $755K on the grounds that UOPD Chief McDermed and others had retaliated against Cleavenger because of his exercise of his free-speech rights. His attorneys asked the judge for $500K from UO for fees and costs – in a civil rights case the losing side pays the winner’s lawyers. UO replaced Andrea Coit with HLGR’s Bill Gary to try and convince the judge to set aside the jury’s verdict and reduce UO’s $500K payment to Kafoury and McDougal. Gary lost his quixotic attempt to get the judge to set aside the jury’s verdict, but did get the judge to knock $50K off Kafoury and McDougal’s bill. UO then forced UOPD Chief Carolyn McDermed into retirement, paying her $46K to leave, as Betsy Hammond of the Oregonian discovered after a public records request to UO. So, net, for this losing plea, UO is out however many additional billable hours Gary and HLGR charged times $315 per hour. The Emerald’s Noah McGraw reported, as of October, that HLGR had billed UO $395K for losing the original case. So maybe they’ve made $500K or so total, if you count their fees for losing the arbitration. Add in UO’s payment to the winning side’s lawyers and the lawyers have made $1M or so, not counting the time of Doug Park et al. But it’s not over. 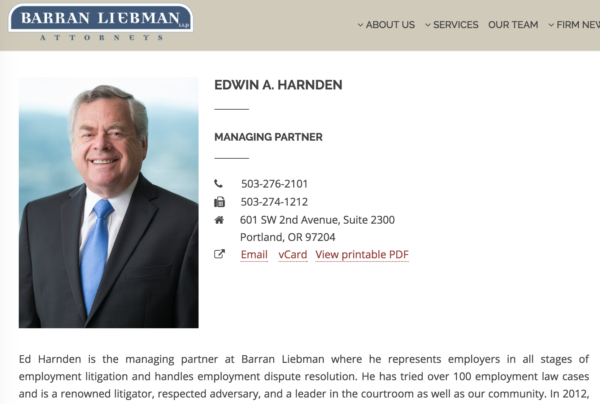 In March UO hired HLGR to appeal the case to the Ninth Circuit, also at $315 an hour, plus expenses. Does anyone know the last time HLGR’s lawyers actually won a major case? Duck PR Flack Tobin Klinger told the Oregonian that the university’s insurance, not tuition money or the individual employees, would pay the damages. That’s not true, and UO now says that these costs will be paid by the PURMIT risk sharing pool, meaning UO will pay about 25%, OSU about 33%, and PSU and the TRU’s the rest, perhaps with some reinsurance. But they don’t want to release the public records that show this. Regardless of who pays, the bad news is that the UO administration will be spending still more years wallowing in this trough, instead of focusing on the future. The good news it that UOM will have more HLGR antics to report on – such as Andrea Coit’s attempt to convince the judge that Cleavenger was involved in a Masonic blood oath conspiracy.